Here are some wisdom keys for greater leadership development. Use them to open the doors to your greater opportunity. Every moment that you think about what you are going to do directs your life toward that act. So think about what you truly want to do in order to do that, and drop thoughts of what you really don't want to do to avoid indulging in those actions. Think about the power of your thought in this way: the next thought you think directs your life into the experience that you think about. Your life follows the direction of your attention. What you pay attention to is under your control. Direct your attention with your intention. Envision your success and trust your life's flow to take you there. The more aware you are of what you are doing, thinking, feeling and saying in the present moment the more you elevate into higher performance. Don't worry about how you SEEM. Pay attention to how you ARE in the now. This will lead you along wisdom's way. You become the person that you want to be, when you open to an inner vision of yourself being that way. Wisdom flows in waves. You know what to do and then you don't. 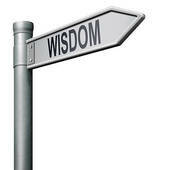 But following the wisdom of seeking the wise way always brings fresh wisdom back to you. By the time you think you know what you are doing you will have tumbled into another round of darkness� But have faith, because it is the darkness that precedes the dawn. You cannot ascend to the next higher peak without first descending back down into the valley. Life is leading you toward higher levels of achievement through the path of discovery of the ways that you hold yourself back, because you can release yourself from only those ways of working against yourself that you become aware of. Why anticipate failure? Liberate your mind from your imagination's tyranny. Become the ruler of your imagination to rule the course your life takes. You have to change your mind to change your life. The time to change your mind is in the midst of strife. The fearful thinking you feel tempted to dwell in lures you off of the path of success. Don't let others or circumstances cause you to live and work and react in a fearful struggle against time. When you work with time, time works for you. Empower yourself with inspiration before taking further action. Uninspired action produces uninspiring results. Commit to making everything you say, think, feel and do serve your purpose. Believing in limits that block your ability to lead a totally triumphant life is like closing your eyes and then complaining about the darkness. What are your thoughts about life? Do they frighten you? Do they dishearten you? Do they frustrate you? Don't confuse your thoughts about life with actually knowing the way life really can be. Every thought you think delays or delivers your chosen fate. Mind rules all. Feeling the fear of not knowing what to do about your predicament? See that fear as all that keeps you from knowing what to do. The circumstances that trigger fear or discouragement give you the opportunity to replace your fear with faith, your discouragement with trust in the infinite potential of how things can be. You belong where you are, for here is your gateway to where you want to be. As you do your best to handle this situation masterfully your life turns into a beautiful masterpiece. Following a disappointment it's always tempting to find an excuse for giving up on ourselves. It seems so much easier to just wallow in the mire of pitiful passivity than to take another step. �I've been doing this too long.� �I don't know that I have any more in me to give.� �I guess I just need to accept defeat.� But none of those excuses represent facts. They are based on mere presumption. Just keep looking for a way to win until you find it. Sometimes succeeding is not about going after success, but about allowing success to come to you. Are you doing anything to push success away? Are you trying too hard? Are you trusting enough? To become aware of whatever we might be doing to push success away is to discover our way to allow it to reach us. Drop any ideas of being unworthy for success. Just because you haven't arrived yet does not mean that you aren't on your way. Trust that your opportunity is coming. Handling your present situation courageously attracts success and prepares you to handle the challenges and responsibilities that come with it. Drop fearful ideas that portray you as unworthy, inadequate, inferior, incapable. When you feel secure, trust in your abilities and rely on them you advance along the path of success. Ponder these wisdom keys for greater leadership development. Using them opens the doors to ever greater opportunities. Bring more wisdom and inspiration into your leadership development. Empower your team with great self-leadership practices and principles. Call 404-297-4043 or email for more information about bringing a powerful teambuilding keynote or leadership development workshop to your workplace or conference.